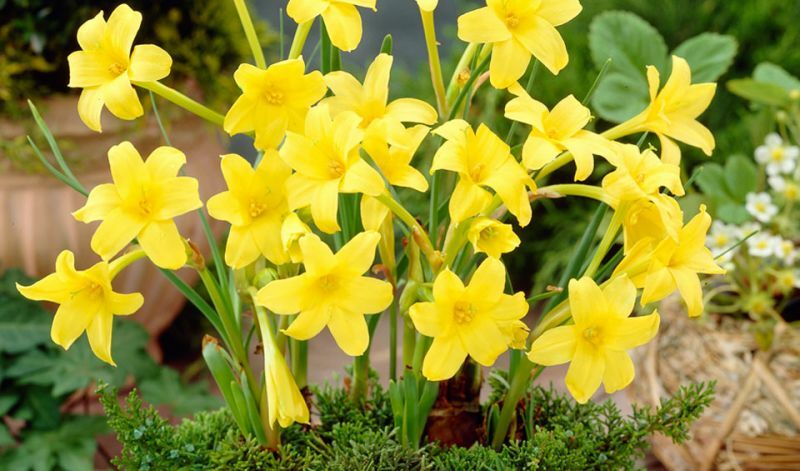 Nice 4" / 10 cm flowers, that are funnel-shaped like lilies, appear in a cluster of 2-5 above the daffodil like grayish foliage. They have a very pleasing citrus-like fragrance and are an excellent cutflower. In borders, small flower beds and as cutflowers. Originally from the tropical areas of the Andes Mountains. The botanical name comes from Greek meaning 'delicate flower'.